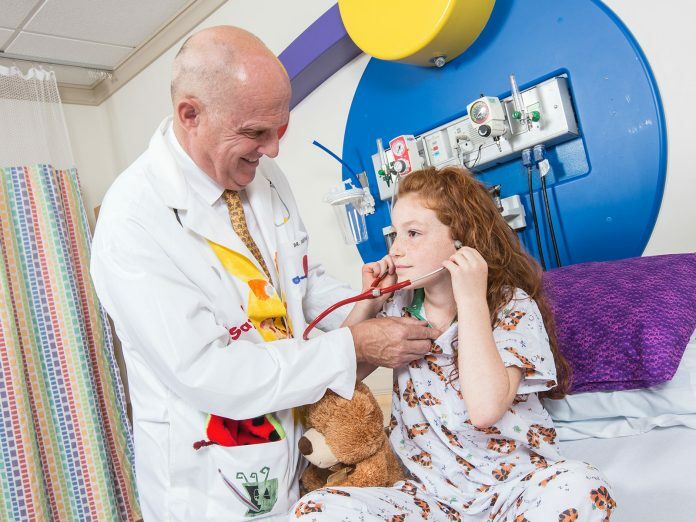 Dr. Max Coppes, the Chair of Pediatrics for Renown Children’s Hospital, shared insights from the recruitment efforts for pediatricians and pediatric specialists. The greatest and most exciting part of my role as Chair of Pediatrics has been recruitment. In 2016, we were very fortunate to have the Pennington Foundation donate $7.5M to Renown Health with the sole purpose of recruiting much needed pediatricians and pediatric specialists to our community. In addition, the Pennington Foundation indicated that they hoped the extensive recruitment efforts would lead to the establishment of a pediatric residency program. How have we done so far? In 2016, we recruited five new pediatricians to our community. In 2017, we signed another eight, while one private practice specialist joined our faculty at UNR Med and now serves as our clerkship coordinator. In 2018, we grew by another 13. This means that over the past three years, we signed 26 new colleagues to our Renown Health family. These new members of our community bring years of experience in pediatrics and they hail from different parts of the country. There are so many new ideas and a tremendous amount of energy to helping to build Renown Children’s Hospital and the Department of Pediatrics. Some of our colleagues have started new service lines, including: pediatric hematology/oncology, pediatric infectious diseases, pediatric emergency medicine, pediatric ophthalmology, and pediatric nephrology. Others have expanded existing service lines, including: pediatric pulmonology, pediatric endocrinology, pediatric hospital medicine, pediatric critical care and pediatric anesthesia. As you can imagine, this expansive growth has been exhilarating and made our 91-bed Renown Children’s Hospital a much more comprehensive children’s hospital. Access to specialized pediatric care has increased dramatically and the need for children to seek treatment outside our area has decreased. We believe that children and families deserve quality pediatric care close to home, in their local community. However, we continue to recruit. We intend to add new positions for providers employed by UNR Med or Renown Children’s Hospital and we are supporting private practices to attract pediatric surgical specialists (e.g. general surgery, neurosurgery). Over the next 12-18 months we hope to recruit another 5-10 new providers to our community. So what does the immediate future hold? First, Renown Children’s Hospital now allows many more children to remain in the community when needing medical care. We want to increase the number of children and families who are able to receive outstanding pediatric care in our local community. Second, we have appointed a pediatric clerkship director and with the addition of so many pediatricians and pediatric subspecialists, we are revamping the pediatric clerkship experience for UNR Med’s 3rd year medical students. Third, we will expand our educational efforts and are in the early stages of applying for an ACGME accredited pediatric residency program in Reno, NV in 2021. Fourth, we expect to join the Children’s Oncology Group (COG) as a full-fledged member. This will allow Renown Children’s Hospital to provide the very best care to children with cancer, and offer them participation in innovative clinical trials. Finally, we look to employ a number of providers through UNR Med to increase the core academic faculty focused primarily on education and research. The future is bright! The sky is the limit! But most importantly, we are enjoying this growing work family, our community, our hospital, our university, and the spectacular nature that surrounds us.